Not a problem! We understand that everyone takes vacations from time to time. You can pause your Meal Plan delivery as long as you do it by Wednesday at 11:59 PM the week prior to your delivery. As another option, if you’d like to receive your meals while you are on vacation, just let us know by Wednesday at 11:59 PM the week prior to your delivery. As long as you’ll be in the continental United States, we can ship your meals to you.  You can make changes by sending us an email to info@22daysnutrition.com or giving us a call at 1-800-822-9080, Monday-Friday 9-5 EST. Any changes to your order must be complete before 11:59 PM on Wednesday, on the week before your order is delivered. After that, you order cannot be changed, paused or canceled. Where can I purchase the bars and protein powders? How will my meals arrive?